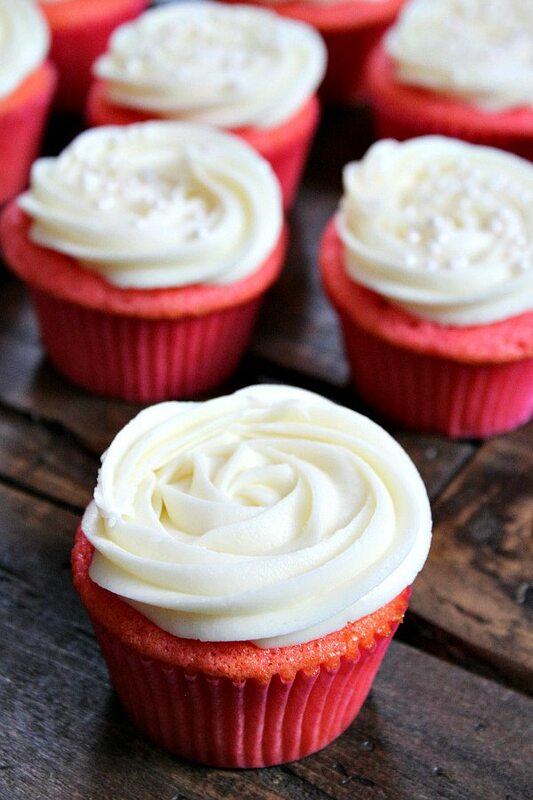 Pink Velvet Cupcakes are perfect for Valentine’s Day, baby showers, birthday parties and weddings. 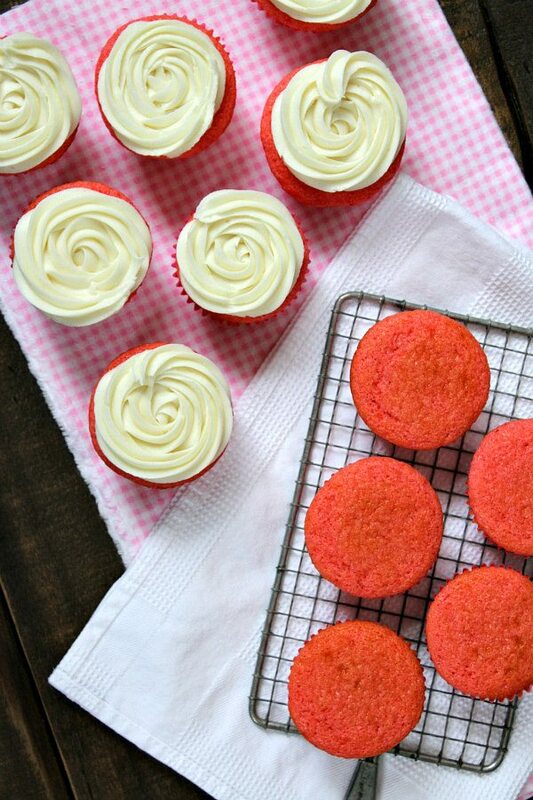 If you’re a red velvet cake fan, you’ll enjoy pink velvet too! 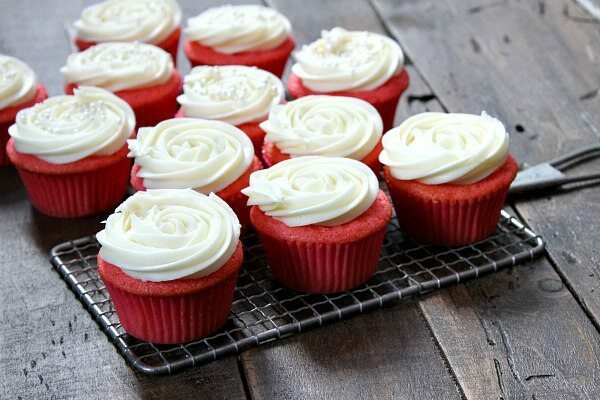 They’re topping with a delicious cream cheese frosting. And that pretty swirl makes them a little bit fancy! This recipe comes from a new book: Simply Beautiful Homemade Cakes: Extraordinary Recipes and Easy Decorating Techniques by Lindsay Conchar (Life, Love and Sugar blog). 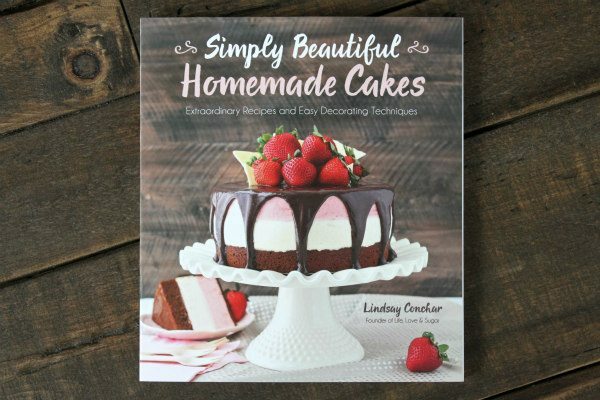 This book is a MUST HAVE for the home baker- there are gorgeous desserts in here to help you celebrate all year long. 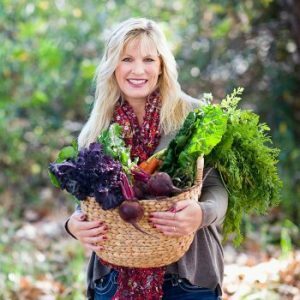 Lindsay is immensely talented- her amazing creations that she creates for her blog are hugely popular on Pinterest. If you have an interest in cake baking, this is the perfect book for you. 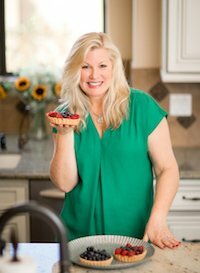 There are very easy instructions for the recipes, and there are tons of tips included. Here are some goodies from the book that I’m definitely going to make at some point: Tiramisu Cake, Chocolate Chip Cookie Cake, Red Wine Chocolate Cake, Cannoli Cupcakes, Triple Lemon Cupcakes, Vanilla Layer Cake, Funfetti Cheesecake Cake, Oreo Cookie Dough Brownie Layer Cake, Peanut Butter Cup Ice Cream Cake, Monster Cookie Dough Cheesecake, Key Lime Cheesecake, Baileys Chocolate Cheesecake and the Red Velvet Flag Cake for 4th of July. All of it— YUMMMMM. 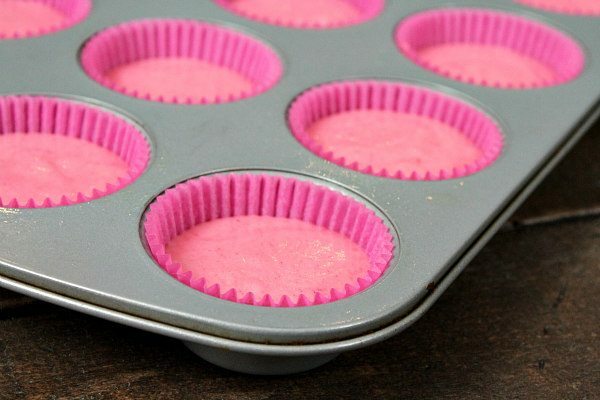 The batter is a lovely shade of pink with the help of a few drops of pink food coloring. I had pink gel paste (you can buy it at craft stores), so I used that in place of food coloring. Make them a light baby pink or a little bit darker… whatever your preference. This recipe makes a small batch- just 12 cupcakes. I love that because we don’t need 24 cupcakes lying around our house! Double the recipe though if you need more. The rose swirling technique is described in this cookbook (as are many other frosting techniques). 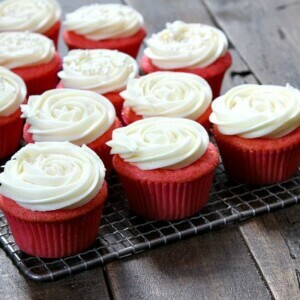 The tip you need for piping the frosting into roses is mentioned in the recipe below. You’ll basically start in the middle and just swirl it around to create the rose-look. So simple and pretty! Preheat the oven to 350 degrees F. and prepare a cupcake pan with liners. 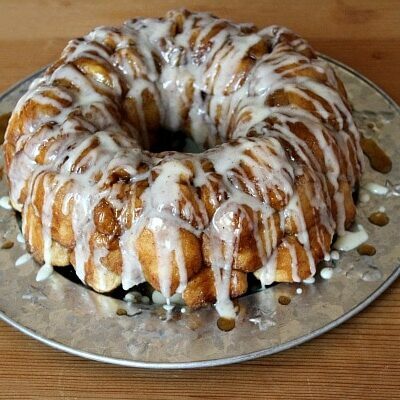 In a large bowl, use an electric mixer to combine the butter and sugar until light and fluffy- 3 to 4 minutes. Mix in the sour cream and vanilla. Mix in 1 of the egg whites. Then mix in the remaining 2 egg whites. Scrape down the sides of the bowl as needed to make sure everything is well combined. In a medium bowl, whisk together the flour, baking soda and salt. 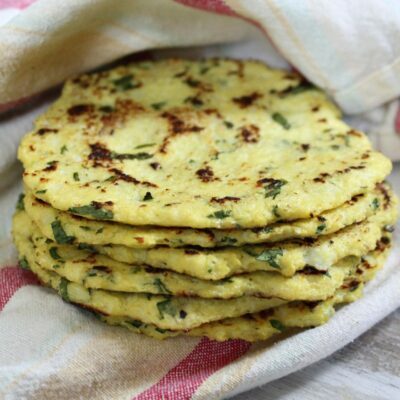 In a small cup, combine the buttermilk and vinegar. Add half of the flour mixture to the batter and mix until well combined. Mix in the buttermilk mixture. The batter may look a little curdled at this point. Mix in the remaining flour mixture- mixing until smooth. Add the pink food coloring and mix until incorporated throughout the batter. Fill the cupcake liners about 3/4-full and bake 15 to 17 minutes- or until a toothpick inserted in the center comes out with just a few crumbs. Remove the cupcakes from the oven and allow them to cool for 2 to 3 minutes, then remove them from the pan and transfer them to a cooling rack to cool completely. 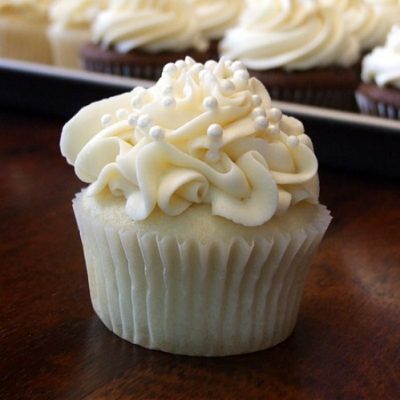 To make the frosting: In a large bowl, use an electric mixer to combine the cream cheese and butter. Add 2 1/8 cups sugar and beat until smooth. Mix in the vanilla and water or milk. Add remaining 2 1/8 cups sugar and mix until smooth. To pipe the frosting: scoop your frosting into a piping bag with a closed-star tip (recommend: Ateco 844 tip or Wilton 2D or Wilton 1M). To pipe a rose on top of your cupcake, start in the center, then lift the tip above the center and spiral around in a circle. When you are done, release pressure on the piping bag and pull away. 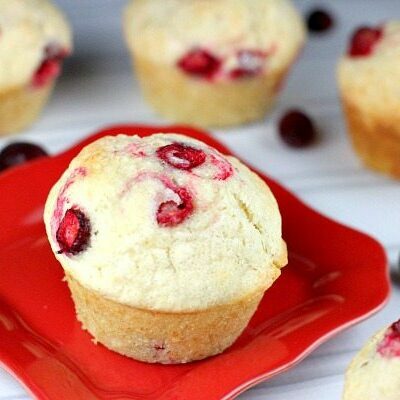 Store these cupcakes in an airtight container in the refrigerator. The cupcakes are best when eaten within 2 to 3 days. They are best served at room temperature. 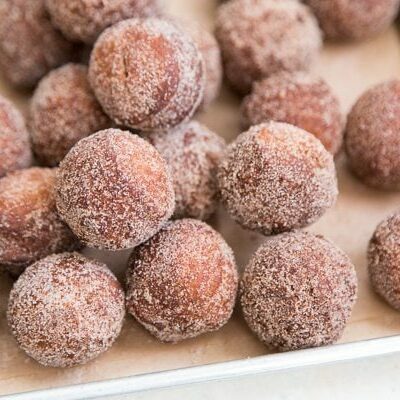 They also freeze well in a covered container. 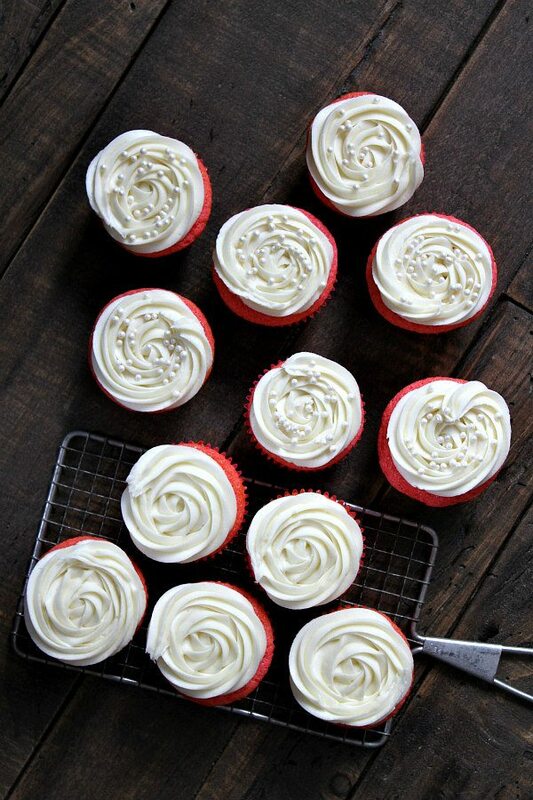 These cupcakes look and sound incredible and the frosting looks beautiful!